At 49 years of age, Michael Santos is getting his first taste of college. He's walking through the main quad at San Francisco State, beaming like a kid. “I always come to soak up the university vibe that I missed when I was a teenager and in my early ‘20s,” he says. Santos is not a student or a visitor. He’s a lecturer in the Criminal Justice Department, a job he landed in September, just two weeks after his release from 26 years in prison. When he was younger, Santos ran a cocaine smuggling operation out of Miami, distributing to the rest of the country. But in 1987 he was arrested and sentenced to 45 years in prison, without the possibility of parole. Faced with spending the rest of his life in prison, the swaggering young man quickly sobered up. He began reading and thinking about how he could productively use his time to give back to society. Santos’s days became highly regimented. He woke up by 6am, then hit the gym and worked a job in the library or in the prison factory. He took his meals alone and volunteered at the hospital after hours in order to isolate himself from the other prisoners. He also began pursuing his education, earning a Bachelor’s degree and later a Master’s degree in Anthropology and Politics. And he began writing. First a blog, then books about life in prison. He had never been a good student, but his new world gave him plenty of material, from the number of inmates held in solitary confinement to how little encouragement and hope inmates received. Santos was released from prison in August of 2012, his sentence reduced for good behavior. He spent a year on community supervision with a tracking device on his ankle and a curfew each night. During the day he worked at a Petaluma lumber company after meeting the owner in prison. At night, he returned to a halfway home in the Tenderloin. In August of 2013, he finally moved into his own home: a modest two-story in Petaluma, which he shares with his wife Carole. The couple attended the same high school and reconnected while Michael was in prison. They married in 2003, and Carole moved 22 times in order to live close to where Michael was being held. For a decade, the two could see each other only in visitation rooms with guards keeping a close eye on their every move. Carole says her husband taught her to set goals and then work toward them, a focus that helped them both during his long sentence. 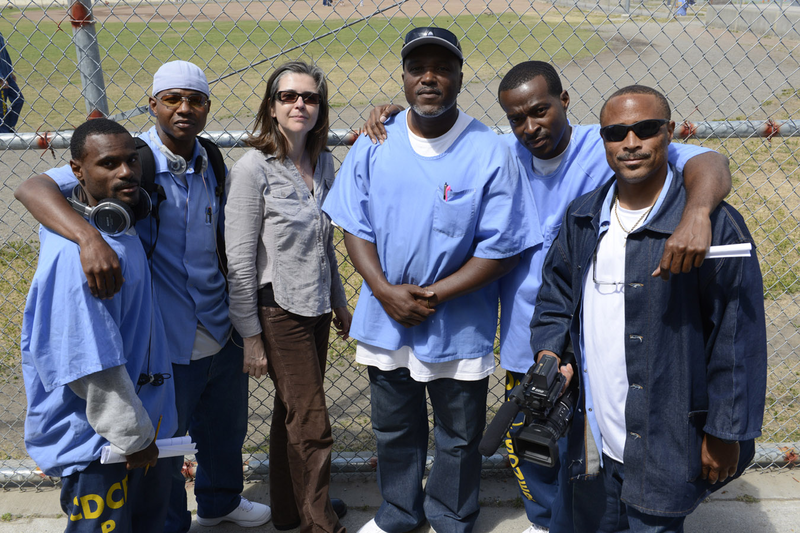 Since his release, Michael has been traveling the country giving talks to prisons, universities and nonprofits, advocating the same ethic and attitude that transformed his life. Santos has also created a life skills program he calls The Straight A Guide. The video tutorial is aimed at getting inmates to think about ways they can contribute to society. The goal is to reform the criminal justice system, not with new laws, but through something far less tangible: by transforming the way prisoners view themselves. Santos’ message is resonating. His guide was recently purchased by the Santa Clara County Juvenile Hall as well as the Los Angeles County Sheriff’s Office. And with his weekly calls at SF State, he’s also reaching future corrections officers. The class is called The Architecture of Imprisonment and includes first person accounts by Santos as well as guest speakers, such as parole officers, probationers, and others inside the criminal justice system. “The system is so, so vested in its policies and its procedures that it doesn’t look at the human being and it doesn’t look at how an individual is trying to prepare for success,” he says. 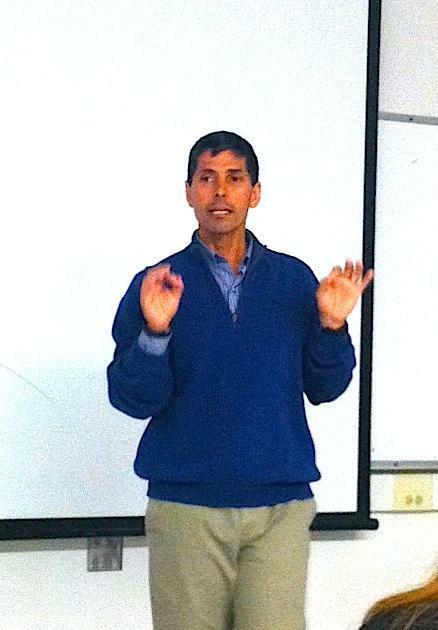 In class, Santos often talks about long sentences that harden criminals. He also criticizes the rigid system of risk assessments, such as mandatory drug tests for probationers who have never had a problem with drugs. That, he says, often forces people to choose between skipping work in order to be in compliance or returning to prison. For 26 years, Santos says he and his fellow inmates were told that they could do nothing to redeem themselves. “I’ve been that person that people said you should have never been brought back to society, and now I’m here and teaching at a university and anybody can have that outcome," he says. "And we as a society would be far better off if we sowed that message of hope rather than perpetuating this system of failure." With nearly 2.5 million people doing time in America’s prisons, the potential audience for his message is huge. Today on Your Call: What are the best ways to reduce California's prison population?